If you take a look at the Towson Tigers this season and wonder whether the CAA added a new team this year, you are not alone. After an offseason filled with graduations and unexpected transfers, head coach Pat Skerry faces a challenge that few other tenured coaches have ever had to bear. Unprecedented roster turnover has left Towson with just two returning players from last year, Dennis Tunstall and Alex Thomas, who accounted for just 7 percent of the team’s scoring output last season (each averaged 2.7 ppg). While Towson lost 5 players to graduation, it was the loss of two blossoming stars, Zane Martin and Justin Gorham, that truly provided the knockout blow. Martin, one of the leading scorers in the CAA as a sophomore last season, initially declared for the draft before withdrawing and transferring to New Mexico. Gorham, another sophomore, had seven double-doubles in conference play, and seemingly improved in every game he played. For a program that seemed like they were on the cusp of building something great, the loss of these two was a devastating blow. While the outlook may seem bleak, keep in mind that Pat Skerry has dealt with a trickier situation before. When Skerry took the program eight seasons ago, the Tigers had won just four games in the previous year. Sure, it wasn’t all sunshine and blue skies at first, as the Tigers won just one game in his inaugural season. But Skerry’s positive demeanor persisted, and the Tigers quickly climbed the CAA ranks to finish second in the league in each of the next two years. Since that first season, the Tigers have finished in the bottom half of the league just once. Skerry has a lot of new faces to balance, 11 to be exact, and it’s anybody’s guess to see exactly how this rotation plays out. Nakye Sanders, a transfer from Duquesne, and Juwan Gray, from San Diego, are the only two newcomers with Division I experience. The Tigers bring on seven new freshmen, who will have plenty to play for as Towson looks for the players to usher in a new era. The other two are Junior College transfers, a path we have seen most recently with Kevin Keatts at UNCW, though that success was likely the exception to the rule. So what’s the moral of this story? Just because the names are new and unfamiliar does not necessarily mean it’s all bad for Towson. A clean slate means they have an opportunity to redefine their identity. While size and strength was good enough to fend off mid-major foes in the CAA, this program never really had much of a chance against major programs with bodies just as big. With the game of basketball trending more towards a pace and space style, perhaps Towson will head in a similar direction. Bottom Line: There’s no denying the fact that this program has been totally depleted. Coach Skerry will do his best to build this program up once more, but in the short term there are far more questions than answers. This should lead to a competitive practice environment, and the young players may very well be better off in the long-run. While this team lacks talent, they most certainly will not lack heart. Don’t expect the Tigers to finish in the top half of the CAA, but teams will have to be ready to go when they face this team. Coming off a season where they finished in a four-way tie for seventh in the CAA, the Drexel Dragons are going to be an interesting team to follow this upcoming season. While the team has dwelled at the bottom of the CAA for the last few years, improvement has been the name of the game for Dragons. Having increased the team’s win total in both seasons since arriving and bolstered by the signing of a multi-year extension this summer, head coach Zach Spiker will look to continue the trend in 18-19. However, improvement this season will be quite the task. Losing important players is never easy for any team. Losing your top scorer and assist-maker as a sub-.500 team in a mid-major conference? That’s about as difficult as it can get. The Dragons find themselves with this exact dilemma coming into the 2018-2019 season, as CAA All-Conference Second Team guard Tramaine Isabell (21 pts, 7.5 reb, 3.4 ast) graduated this past summer and transferred to Saint Louis. To add to the Dragons’ troubles, they also graduated guard Sammy Mojica (third leading scorer) and CAA All-Defensive Team forward Austin Williams (first in rebounds). Luckily for the Dragons, they will still return three 10+ ppg scorers from last season, led by Junior guard Kurk Lee. Lee led the team in minutes last season at just under 36 per game, and is poised to be the team’s main playmaker in the absence of Isabell. Drexel will look to replace much of the lost production with returning players, but that certainly won’t be the only source. Incoming transfer forward Zach Walton has impressed in Drexel’s recent preseason tour in Australia, highlighted by a 22-point game in his debut for the team. New guards Trevor John and Camren Wynter also contributed a little under ten points apiece during the tour. Shooting has been a major issue for the Dragons, who finished dead last in 3PT% last season. If they want to drag themselves up from the bottom of the league, improving their accuracy from deep is going to be absolutely key. The addition of John is bound to help, as he shot a whopping 45% from beyond the arc last season for Cal Poly. One bright spot for the Dragons this season will be their depth. Though they lost major contributors, the rest of the team has stayed mainly intact. Add onto that the transfers of John and Walton, as well as the addition of forwards Tim Perry Jr. and James Butler, who both sat out last season, and the Dragons will be a team with lots of experience throughout the squad. Bottom Line: Losing Isabell, Williams, and Mojica leave Drexel with an abundance of question marks. The Dragons will have to develop leadership and shooting quickly to find success this season. Expectations aren’t high for the Dragons, but new additions and improvement from some familiar faces might help them surprise some people. The beginning of last season was full of hope for the Elon Phoenix, with all five starters returning and a projected third place finish in the Colonial Athletic Association (CAA). Ultimately, though, they could not live up to the hype, tying for last place in the regular season with a 6-12 conference record, and losing in the first round of the conference tournament. This season, they’ll be missing two of their star players in F Brian Dawkins and G Dmitri Thompson. Dawkins had won Preseason All-CAA Second Team honors, and finished the season with 12.2 PPG and 5.4 RPG. Thompson, ranked 28th on Elon’s all-time scoring list, tallied 12.3 PPG and 5.3 RPG. The Phoenix also graduated Collin Luther, Jack Anton, and Jack George, who combined for 2.9 ppg. With Dawkins and Thompson moving on to professional ball, it looks like Normal, Illinois native Tyler Seibring will have to have a better-than-normal season. After leading the team in points and rebounds per game (15.4 ppg and 6.8 rpg), all eyes are on the 6-foot-9 senior forward to lead the team to a winning season. His junior campaign brought him numerous honors, including being named to the All-CAA Second Team for the second consecutive year. Two more returning starters are senior guards Dainan Swoope (12.0 ppg, 3.1 rpg) and Steven Santa Ana (9.7 ppg, 4.4 rpg). Swoope has already carved his name in program history, ranking 35th in all-time scoring, 8th in three-pointers made, and is currently tied for 11th in career assists. Assuming he feels an added motivation to move up in the leader boards, you can expect Swoope to step up his offense. Santa Ana also has history to make – he’s only 87 points away from the 1,000 point mark. He also had the third-highest 3-point percentage last season at 36.1%, improving from 32.7% in 2016-2017. If he can continue to increase this percentage, he’ll be on track to get those last 87 points quickly, and help lead his team to some wins. The Phoenix are welcoming three freshmen to the squad this year, and with their not-so-experienced bench, there’s a shot these newcomers will get some decent playing time. Six-foot-six forward Chuck Hannah is “a prototypical Elon guy” according to Coach Matheny, and at 230 pounds, it seems like he’ll be able to hold his own against veteran CAA players. Summerfield, NC native Andy Pack, who has attended Elon’s summer camps throughout his early career, and Coach Matheny has deemed him a good fit as well. Kris Wooten, a 6-foot-3 guard, led his hometown high school to a state championship his freshman year before transferring to Arendell Parrott Academy. Bottom Line: The good news is, there’s nowhere to go but up for the Elon Phoenix. If Seibring continues to take charge on offense and improves his defense, he has the ability to lead his team to a better record. And with veterans Swoope and Santa Ana continuing to improve, there is no doubt the Phoenix will be more competitive than last season. While you can’t expect this team to make a serious run at the conference title, they will get out of that last place position and move up to the middle of the pack. Last year’s Delaware men’s basketball team was a painful reminder how quickly a squad’s fortunes can change. In mid-January the Blue Hens were 11-8 (4-2 in CAA play) before multiple injuries to top players keyed a 2-10 stretch that effectively sunk their season. Delaware stumbled into the CAA tournament as the 7th seed and was eliminated by Northeastern in a resounding 74-50 second-round loss. In late March, now-junior guard Ryan Daly announced his intention to transfer. Two weeks later, he chose St. Joseph’s University in his hometown of Philadelphia, where his father and grandfather both played and his grandfather coached. Daly earned CAA Rookie of the Year honors in 2016-17 and was named to the All-CAA Third Team in his freshman and sophomore seasons. In last year’s campaign, he led the Blue Hens with 37.5 mpg and 17.5 ppg and was second in rebounds per game (6.2). Per NCAA transfer rules, Daly will redshirt during the 2018-19 season. Delaware lost redshirt sophomore and St. Bonaventure transfer Derrick Woods in December. Woods was suspended indefinitely from the team for unspecified violations of team rules. His suspension came following an incident in practice in which teammate Jacob Cushing suffered a broken nose. With Daly gone, Delaware will likely rely heavily on sophomore guards Ryan Allen and Kevin Anderson. Allen is coming off a terrific freshman season, averaging 15.3 ppg and shooting 38.9 percent from downtown en route to becoming Delaware’s second consecutive CAA Rookie of the Year winner. Anderson was logging 13.7 ppg and 4.9 rpg before knee surgery ended his season after 11 games. His injury was arguably the single most important factor in turning the tide on Delaware’s 2017-18 season, and they’ll need him healthy and productive if they are to improve on last year’s mark. The departure of graduating guard Anthony Mosley (10.3 ppg and 4.3 rpg) deprives the Blue Hens of a consistently productive starter. Similarly productive big man Eric Carter (11.0 ppg and 9.1 rpg) might well have an increased role in the Hens’ attack in his final college season. The standouts from Delaware’s newcomers are 6’5 guard Nate Darling and 6’7 forward Matt Veretto. Darling, a junior transfer from the University of Alabama at Birmingham, averaged 10.1 ppg last year while shooting 40.9% from three, 47.7% from the field and 83% from the line. Veretto was first team all-state last year at East Catholic High School in Connecticut, posting 19 ppg and 11 rpg. Bottom Line: Even if Delaware’s key players stay healthy and productive throughout the season, and even if newcomers Darling and Veretto make solid contributions, it’s doubtful they’ll make much noise in the CAA. Ryan Daly’s exit deprives the Blue Hens of their best player and none of their newcomers come close to filling the hole. It’s difficult to imagine them improving on last year’s 7th-place finish in the conference standings or their second-round exit in the CAA Tournament. The James Madison Dukes basketball season ended in the same fashion as many of their games during the 2017-18 season. Despite leading 55-54 with 4 minutes to play in the first round of the CAA Tournament, the Dukes lost to Drexel by a score of 70-62. In his third season as the head coach for James Madison, Louis Rowe will look to improve on a last place finish in the CAA. The Dukes will be saying goodbye to three seniors from the 2017-18 season. Guard Joey Mclean will be the biggest loss of the three for the Dukes. Despite battling injuries much of his senior season, he was a larger part of what the Dukes did offensively. During his junior year he scored in double digits in 17 games and lead the team in assists. In addition to Mclean, the Dukes will also be losing role players Cameron Smith and Romane Snowden. Despite graduating three seniors, the Dukes will be returning their four leading scorers from last season. The leader of that group is rising senior Stuckey Mosley. Last season, his first with the Dukes, he averaged 18.5 points per game and was awarded third team CAA honors. Mosley will be the leader on the court for the Dukes this season and the go to player late in games. Mosley will most likely be joined in the backcourt by guards Matt Lewis and Darius Bank, both incoming sophomores. As a freshman last year, Banks was named to the CAA all rookie team and acted as a lockdown defender for the Dukes; he led the team with 48 steals on the year. Lewis was also named to the CAA all rookie team and was second on the team with 72 assists tallied. The Dukes will rely on both these young players to help Mosley in the scording column. One of the major reason the Dukes struggled last season was from the inability to consistently make shots. They finished the 2017-18 season in last place in overall field goal percentage with just a 42 percent rate. The team finished in 8th place in the CAA in three point field goal percentage at a rate of 33.2 percent. Much of the shooting struggles this past season can be attributed to a combination of poor shot selection and rushed shots, issues often seen with young players. The Dukes can expect this part of their game to improve next season with many of their young key players having a year of experience behind them. However, in order to be successful in that improvement, they will need the incoming freshmen to play well. One of those freshmen that could see playing time as the season progresses is 6-8 forward Devon Flowers. From Hyattsville, Maryland, Flowers was named to the VISAA All-State team as a senior and led his team in points, rebounds, and blocks. The Dukes will look for him to have an impact on both ends of the court his freshman season. Bottom Line: Despite a disappointing 10-22 season last year, the Dukes will enter this season with confidence and the belief they can improve both in the CAA and overall. They graduated just three seniors and return all four of their leading scorers. Last season they started two freshman guards, each of whom will come into this season more experienced and poised to perform. As a guard heavy team that likes to run, the Dukes will hope these sophomore guards can provide some help to the Dukes team and scoring leader, Stuckey Mosley. If this happens, and forward Develle Phillips holds down the fort in the frontcourt, the Dukes can cause some trouble for teams in the CAA and improve on their last place finish from last season. Any discussion of this year’s UNCW team has to begin with Devontae Cacok. The senior forward is coming a monster season which saw him named to the all-CAA first team as well as the CAA all-defensive team for the second straight year. After playing a supporting role on offense two seasons ago, Cacok assumed much more of the scoring load as a junior. He tallied 17.8 ppg and once again was a nightmare on the glass, racking up 13.6 rpg. Cacok also flashed signs of a real post-up game and began to emerge as a threat away from the rim. He showed an improved face-up game, knocking down mid-range jumpers and driving past bigger, slower defenders. On top of that, the 6’7 big continued to be a force on defense and earned his team easy baskets on second chance points and lobs. Outside of Cacok, however, the Seahawks have major questions. Jordon Talley was the team’s best backcourt player and his departure leaves a large hole at the point guard position. The good news for head coach C.B. McGrath is that he has a number of experienced backcourt players who will look to take steps forward. Ty Taylor and Jaylen Fornes are the most established of the group. Both players are upperclassmen who started for the majority of last year alongside Talley, each averaging double figures. The Seahawks also have experienced bench players such as Jay Estime’, Jacque Brown, and Jeff Gary who will compete for backcourt minutes. All three were consistent role players for Coach McGrath last season. A couple of big man transfers will look to earn minutes as the starter next to Cacok. Redshirt junior Jeantal Cylla sat out last after transferring to UNCW from FAU, where he averaged 8.5 ppg and 3.4 rpg over two years. Shawn O’Connell comes to the Seahawks as a graduate transfer from Georgia Southern. They will combine with senior big Trey Kalina to try and replace Marcus Bryan’s 6.9 rpg. Keep an eye on the two freshman guards, Jaylen Sims and Kai Toews. Sims is a long, explosive leaper with a good looking jumper. Toews has a smooth handle and is a solid distributor. It may be tough for either player to get minutes in such a deep backcourt, but both guys are worth monitoring if they can get on the floor. 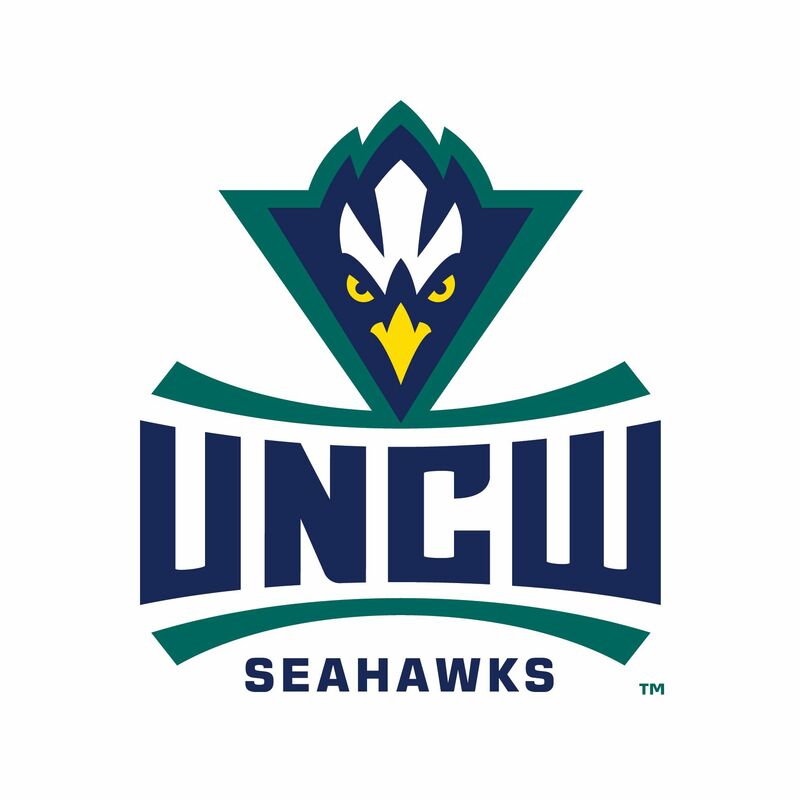 Bottom Line: UNCW has a deep backcourt and an experienced roster. That combined with an elite player in Devontae Cacok seems like it should be enough to make waves in the CAA, but without Talley they don’t have the scoring to hang with the conference’s best teams. Look for a similar season to 2017-18 with the Seahawks finishing as a middle of the pack group. Heading into last season there was a feeling around the CAA that William & Mary was headed for a rebuilding year. The team had just graduated two all-conference wings in Daniel Dixon and Omar Prewitt, and as a result were projected to finish a lowly 8th in the conference’s preseason poll. Despite that ranking, the Tribe managed to put together a solid season, finishing 4th in the CAA before falling in the semifinals of the conference tournament to the eventual champion Charleston. As they prepare for the 2018-19 season, William & Mary will again have to replace two stellar perimeter players after guards David Cohn and Connor Burchfield graduated, but they remain in contention atop the CAA thanks primarily to three all-conference caliber players and coach Tony Shaver’s run and gun system. Coming off a freshman year in which he flashed as a role player off the bench, forward Nathan Knight burst onto the scene last year as a sophomore. He stepped into a starting role and emerged as one of the best bigs in the CAA, posting 18.5 points ands 7.7 rebounds per game. Knight also began expanding his range out to the three point line, where he connected on 30% of his shots. That marked a major improvement from his freshman year in which he shot just 17% from beyond the arc. Knight was a force on defense as well, swatting away almost two shots per game. As he enters his junior year, look for Knight to continue to improve his jumper and his handle while becoming the unquestioned best player for the Tribe. 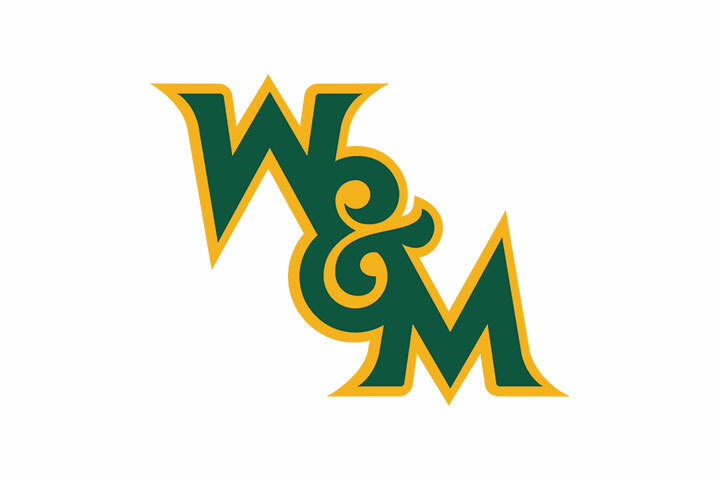 The other two returning starters for William & Mary will also likely be in the all-conference discussion by seasons end. Forward Justin Pierce is coming off a year in which he averaged 14.7 ppg en route to a 3rd team all-CAA finish. The 6’7 junior swingman also knocked down almost 42% of his threes and paced the Tribe with 8.6 rpg. Redshirt junior Matt Milon is the third starter returning for Coach Shaver. The sharpshooting southpaw transferred to William & Mary from Boston College and turned in a quietly productive season in his first year in the CAA, scoring 13 ppg while connecting on 43% of his triples and 92% of his free throws. The man running the ship will once again be Tony Shaver, who is entering his 16th year at the helm for William & Mary. His run and gun offense emphasizes ball movement, off-ball action, and a lot of three point shooting. Last year the Tribe shot a whopping 43.4% from three, good enough to lead all of division one. Outside of Knight, Pierce, and Milon, redshirt senior Paul Rowley is the only other returning player who saw significant minutes last season. It will be on Shaver and his staff to identify which of the incoming freshman will be able to step into the William & Mary system and contribute right away. If one or more of the freshman are able to provide Shaver with some much needed depth, William & Mary will once again be primed to compete for the conference title. Bottom Line: Nathan Knight is a beast and will be in the CAA Player of the Year discussion. Pierce and Milon join him to form a legit big three, but the concern here is depth with only six returning players. Finding reinforcements will be key towards the Tribe competing with teams like Northeastern and Charleston for an NCAA tournament bid. After a single-season rebuild, the Hofstra Pride returned to CAA relevance last year. The Pride finished third in the CAA regular season standings, but once again faltered in the conference tournament. After a first round bye, Hofstra fell 93-88 to UNCW in the quarterfinals, bringing their season to an abrupt finish. Though the season may not have ended how they wanted it, Hofstra returns star power from last year. Justin Wright-Foreman, a 6’2” guard who led the CAA in scoring last year (24.4 ppg), enters his senior season as the preseason nominee for CAA Player of the Year. Wright-Foreman topped 30 points in seven games last season, and any success with this team starts with his ability to perform. Adding to the offensive firepower is 6’5” junior guard Eli Pemberton, who averaged nearly 16 points per game last season, and shot over 40% from three. The Pride will need to see consistency out of Pemberton, as he faltered when it mattered most last season. In Hofstra’s quarterfinal loss, Pemberton shot just 1-9, and finished with four points; his lowest scoring output of the season. With an additional year of experience, Pemberton and Wright-Foreman should become one of the most reliable duos in the CAA. While there is no denying the top-level talent of the Pride, there are serious question marks surrounding the rest of the roster. Rokas Gustys was the only other player to average double-figures in scoring last season (10.5 ppg), and he was lost to graduation. What Hofstra will miss most about Gustys is his rebounding ability. He averaged at least 12 rebounds per game over each of the last three seasons. There is not a clear solution on Hofstra’s roster from last season that will step in and fill that role. The Pride have two players joining the program as graduate transfers this season, who will likely have big roles from the outset. Jacquil Taylor is a 6’10” forward from Purdue, who played in 19 games last season. Dan Dwyer is the other transfer, a 6’8” forward from the University of Pennsylvania. They will be leaned on heavily to pull in rebounds and provide a presence in the paint. The Pride have a few other players to keep an eye on this year, as they look for a third reliable option to lean on. Guards Jalen Ray and Desure Buie came on strong towards the end of last season, each scoring double digits in each of their last three games. They will look to maintain the momentum into this season. Also look for sharpshooting forward Matija Radovic, who played a limited role as a freshman last season, to be more involved in the offense this season. Bottom Line: The pair of Justin Wright-Foreman and Eli Pemberton is as talented as any duo in the league, but the Pride still lack depth. Jalen Ray and Desure Buie have shown flashes, but have not been able to put it together for an entire season to this point. The loss of Gustys is painful, and it is unlikely that anyone on the roster will be able to replace that production. The Pride will still score, but they may struggle on the defensive end. Hofstra has the top-level talent to compete in the CAA, but they will need some serious growth if they want to compete among the best in the league this season. Northeastern was 20 minutes away from a trip to the Big Dance. Then everything came crashing down. In last year’s CAA Tournament final in the North Charleston Coliseum, the second-seeded Huskies led No. 1 seed Charleston by 17 points early in the second half. Slowly but surely, an experienced Charleston team chipped away at the young Huskies’ lead, and the Cougars came away with an 83-78 OT victory — clinching a bid to the NCAA Tournament. The pain of being so close to a March Madness berth would sting a bit more if the Huskies prospects for 2018-19 weren’t so bright. Northeastern returns as the favorite to win the conference, garnering 35 of 40 first place votes in the preseason media poll. Despite Devon Begley’s (6.3 ppg) graduation, the Huskies return their top seven leading scorers and 90.4% of their scoring overall — the 13th highest mark in the nation. The conversation about Northeastern starts and ends with redshirt senior point guard Vasa Pusica, the runner up for CAA Player of the Year and a Preseason All-First Team selection. The Serbian-born University of San Diego transfer burst on to the scene last year, averaging 17.9 points per and 5.1 assists per game with a 50/43/81 shooting line. He’s a 6’5 floor general that makes everyone around him better. Flanking Pusica will be a pair of award-winning junior swingmen in the 6’4 Shawn Occeus (Defensive Player of the Year) and 6’6 Bolden Brace (Sixth Man of the Year). Occeus (10.8 ppg) is capable of locking down a team’s best perimeter scorer or ball handler. Brace (7.9 ppg) is a versatile chess piece who can slide across three positions, shoot the three ball (39.6%) and crash the boards (a team-leading 4.7 rpg). Redshirt junior Donnell Gresham is a steadying presence at the two-guard position, and a smooth shooting stroke (43.1% from deep) helped him flirt with a double-digit scoring average last season (9.1 ppg). The big man trio of senior Anthony Green, junior Max Boursiquot and sophomore Tomas Murphy is intriguing, especially because their skill sets are so diverse. The 6’10, 250 pound Green is a presence down low. Boursiquot stands at just 6’5, but does all the little things and unlocks versatile lineups with his defensive ability. The young gun of the group, Murphy, has the highest offensive upside of all three, but was sometimes unplayable defensively down the stretch last season. It remains to be seen if 6’11 senior big man Jeremy Miller — a highly touted recruit — will reemerge after falling out of the rotation at the end of last year. If the Huskies have a weakness, it’s their lack of a second go-to scorer after Pusica. It’s possible that redshirt junior guard Jordan Roland, a transfer by way of George Washington, could fill that role. Roland averaged 6.7 points per game on 41% shooting from three in 2016-17. It’s possible that Occeus or Brace increase their scoring load, but Roland looks like a prime candidate to play off Pusica. Holding down the fort is reigning CAA Coach of the Year Bill Coen, who helped the Huskies outperform their 6th place prediction in the 2017 preseason media poll. Coen knows how to pull the strings, and his résumé proves he should be trusted. Bottom Line: The expectation is clear; it’s NCAA Tournament bid or bust for the Huskies. Pusica is the best point guard in the conference — and maybe one of the best floor generals in all of mid-major basketball. Coen is an experienced coach, and he has the luxury of a slew of versatile players — Occeus, Brace, Boursiquot and more — and a deep bench to tinker with. If someone like Roland can step up as a secondary scorer, look out; the Huskies just might make 2018-19 a redemption tour. The 2017-18 season ushers in a new era of Northeastern Huskies’ basketball; life after T.J.
Point guard T.J. Williams exploded onto the scene last season, averaging 21/5/5 en route to a no-brainer selection as CAA Player of the Year. Williams went from averaging just 7 ppg in his junior season to being the undisputed focal point of the Husky offense as a senior. But Williams in black and red is no more. The dynamic guard is on to the greener pastures of the NBA G-League. Gone, too, is Alex Murphy, a 6’8 combo forward who led the team in rebounding (5.6 rpg) and was the second leading scorer (14.1 ppg). Therein lies the biggest question of the 2017-18 campaign; who will step up to replace this production? The returning cast is, in a word, inexperienced – seven of the Huskies 12 active players are either freshman or sophomores. Devon Begley an All-CAA Defensive selection and Preseason Honorable Mention, is the team’s only senior, and remains as the lone holdover from the 2014-15 Husky squad that won the CAA and nearly upset Notre Dame in the first round of the Big Dance. Begley posted a career-high 9.7 ppg last season, and found his niche as a 3-D wing and occasional playmaker. It’s possible Begley takes a Williams-like leap and becomes an All-Conference caliber player, but don’t count on it. Around Begley are a cast of three juniors that will likely determine the Huskies’ success this season. Redshirt junior guard Vasa Pusica could find himself with plenty of ball-handling duties. The 6’5 Pusica averaged 8.5 points and 4 rebounds a game in his freshman year at U San Diego, and led the team in assists. The Huskies are thirsty for a playmaking point, and Pusica has the opportunity to deliver. Center Anthony Green made huge strides on the defensive end last season, and the 6’10, 252 pound behemoth is a nice interior piece to build around. Questions abound around 6’10 F/C Jeremy Miller. Miller entered Northeastern as a three-star recruit: an intriguing mix of size, length and shooting ability. After averaging 8.3 ppg and 3.9 rpg as a freshman, Miller regressed last season, largely due to an 11-game absence thanks to a knee injury suffered in a win at Michigan State. Although Miller didn’t receive a medical redshirt, his classmate Donnell Gresham did. “Red” Gresham was a solid contributor in his freshman season, but missed all but four games with a hand injury suffered against LIU-Brooklyn. The redshirt sophomore has a good chance to earn a starting role, and is a great complementary ball-handler and spot-up shooter (42% from three in his freshman year). Last year, a trio of freshman – G Bolden Brace, F Shawn Occeus and F Max Boursiquot – all saw extended playing time as injuries mounted later in the season. All three will have an opportunity to solidify their roles this season. Occeus is an athletic wing who flashed plenty of potential last season. Boursiquot is a do-it-all, undersized (6’5) four-man who profiles as a fantastic role player moving forward. The most intriguing of the three, however, is Bolden Brace. The 6’8 sophomore has a sweet shooting stroke, and showed on multiple occasions last season that he can carry an offense. Brace dropped 20+ in back-to-back games in early February at William & Mary and James Madison, and then tied the school’s all-time record with 10 threes in a 40-point performance at Elon. If Brace can take a step as a playmaker, he might be something special. Of the crop of four freshman, bigman Tomas Murphy is the most likely to play a large role this season. With his older brother Alex graduated, the 6’8 Tomas has a chance to earn big frontcourt minutes. Murphy was rated as a four-star recruit by ESPN. Players of that caliber rarely enter the CAA – you can thank the Murphy family’s close ties with coach Coen for this one. Bottom Line: The media picked Northeastern to finish 6th in the CAA in the preseason poll, and that seems fair. Williams’ graduation leaves a massive hole in the playmaking department, but there’s a chance a more equal-opportunity offense opens things up for the young Huskies. Uncertainty is the name of the game here, and the development of players like Pusica, Miller, Gresham and Brace will likely determine how the season goes. If all goes right, the Huskies will be in the middle of the pack in the CAA, and the young guys will get plenty of time to hone their skills for the future.